Tonsil stones are one of the most difficult problems to deal with for many people because they are so hard to remove. Some people who have them don’t even know they have them until they cough them up or they notice their breath is starting to smell a little off. In order to learn more about tonsil stones it’s important to learn more about the area where they develop. These little balls of yuck develop inside the tonsils, which are fleshy structures that have a soft texture. Your tonsils are made up of bacteria fighting cells called lymphocytes. The lymphocytes in your body actually helps your immune system do its job more efficiently. 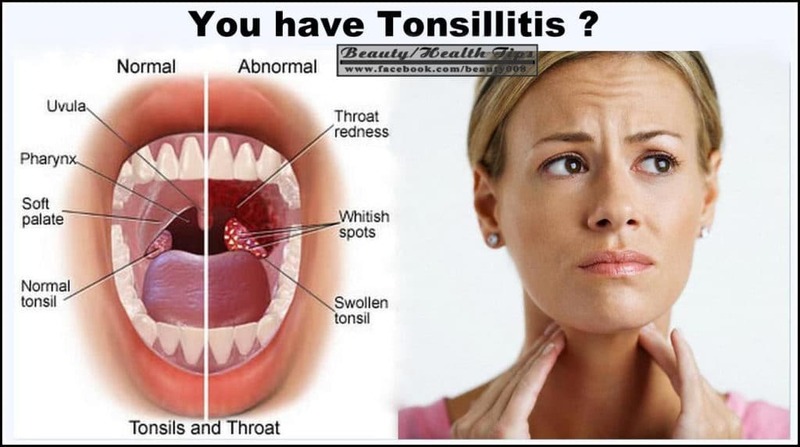 Without your tonsils it would be much easier for your body to become infected by bacteria or viruses. There are many tiny pockets inside your tonsils that make it easy for bacteria and other unwanted debris in your mouth to build up. Tonsil stones occur once too much bacteria begins to build up inside these small pockets of your tonsils. Foul mouth odor that won’t go away even if you brush your teeth. A lump feeling in the back of your throat that makes it difficult to swallow. Sometimes tonsil stones symptoms are not very obvious, which explains why some people go through life not knowing they have them. One way to determine whether or not you have tonsil stones is to get a CT scan done by a doctor who is familiar with tonsil stones. Some doctors may also do an X-ray as well to be 100% sure you have tonsil stones are not. Sometimes you can just take a flashlight and get in front of the mirror and check whether or not you have these stinky little stones in your tonsils. If the tonsil stones aren’t too deep in your tonsils then you can actually see them with your naked eye protruding out your tonsil pockets. The good thing about treating tonsil stones is that there’s various things that can be done to get rid of them. The most popular medically treatment for tonsil stones involves surgically removing your tonsils from your mouth so that the tonsil stones won’t have a place to grow and accumulate. Apple cider vinegar is one of the best home remedies for tonsil stones because of its powerful acidic content that can help break down and dissolve the tonsil stones trapped in your tonsil pockets. Also, this vinegar contains anti-bacterial properties that will help kill the tonsil stones causing bacteria before it has a chance to produce more stones. To get rid of tonsil stones with apple cider vinegar simply dilute it with some water and gargle it for at least 30 seconds. Make sure you spit out the vinegar after you gargle with it. One of the easiest ways to remove tonsil stones is to use a device called a water pik. This dental instrument was created to floss in between the teeth, but it makes an excellent tonsil stones remover. It’s one of the best ways to remove tonsil stones that are deep inside your tonsils and you can’t seem to reach with other methods. You can get a good water pik at your local pharmacy for around $20 and they are very easy to use. Before you begin using this electric flosser to get rid of your tonsil stones make sure you set it on the lowest setting so that it doesn’t harm your gums when you begin blasting with it. For the best results spray the stones in an upward and downward motion so that they loosen and fall out easily. Another easy way to remove tonsil stones naturally is to use baking soda. Baking soda mixed with a little warm water can knock out the tonsil stones when you gargle your mouth out with it. It also helps break up and remove mucus build up in your mouth, which will help prevent the tonsil stones from returning once they’re removed. Just add around a tablespoon or two of baking soda to a cup of warm water and stir it up. It’s best to use this baking soda gargle a couple times throughout the day to get rid of the stones and keep them from coming back. Another way to kill the bad bacteria that’s responsible for the development of your tonsil stones is to take oral probiotics daily. These probiotics will reduce the amount of tonsil stones causing bacteria you have in your mouth by increasing the friendly bacteria in your mouth. The M18 and S.Salivarius K12 oral probiotics are the best when it comes to removing the bad bacteria that’s causing tonsil stones, chronic bad breath, and other symptoms. There are various studies online that show how effective these oral probiotics are at getting rid of the bad bacteria causing all the problems in your mouth. Tonsil stones are definitely a difficulty problem to have to deal with on a daily basis. Hopefully the treatments we’ve listed above can help you get rid of your tonsil stones and keep them from coming back again.